Of all these features that project management tools offer, project managers should understand what kind of project management software will be useful and effective for the project team as well as management. After years of project delivery cycles using conventional tools and techniques, businesses realize that they need to a project management software to streamline project planning and delivery process. Okay, I hear you. Let’s pause for a moment and let’s understand what do you really mean by project management? Do you simply want to do task scheduling and assigning activities to team members or want greater collaboration or also do resource planning, project budgeting & tracking cost or tracking time, managing documents, tracking incidents & risks or scheduling project meeting, managing change requests, managing project scope, collaborating with clients as well as sponsors or more. You may need few of these capabilities or many or all of these. What is implied by “project-management tool“? The answer to this question changes from one organization to another. What problems does project management solve for your organization depends on kind of projects, project team members’ readiness, client’s expectations, current maturity of project process at your company and where you would like to shape up project management process in future. As a provider of project management software – ZilicusPM, we constantly interact with small, medium businesses as well as enterprises. It is our constant endeavour to understand their current project management processes, what they mean by project management software, how they have been managing projects so far and how they want project management tool to help their business. Though there are plenty of variations in their answers but for the simplicity of reading and understanding we grouped project managers’ expectation to seven different aspects of project management software. Let’s look at those project management aspects, different tools they used and their experiences/opinion about those tools. This is one of the most common perception about project management – task scheduling. 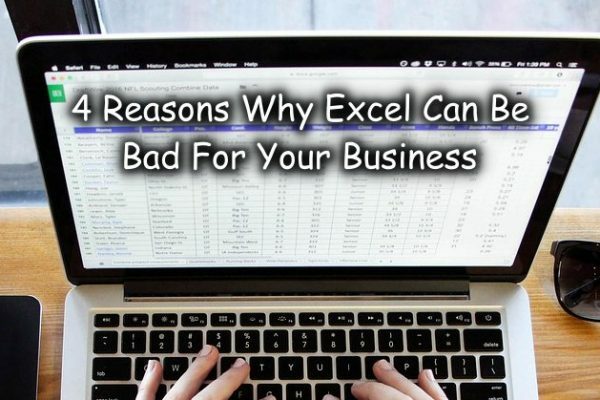 And the most commonly used tools are spreadsheet like Microsoft Excel®, Microsoft Project®. Typically there are basic expectations like to be able to create tasks, assign to a team member(s), set timeline (start date, due date), tracking when it got actually completed. Microsoft Project offers more advanced as well as complex capabilities for a project manager to create project schedule. The biggest disadvantage with cost conscious use of MS Project® or MS Excel® is, lack of real time update or collaboration. There are many copies of project schedule and team members get confused, updating schedule is manual, laborious activity that often leads to errors. On the other hand there is a crowded market of online project management and project collaboration tools that offers task management features e.g. Asana, Smartsheet, Basecamp, Podio, Central Desktop, Zoho, Deskaway, Producteev, Trello, Task Merlin, ToDoist, HiTask among many others. Of these some solutions are good ToDo list and collaboration software such as Basecamp, Asana, where as Zoho, Podio are not limited to task management. Again some of these are positioned for specific purpose like digital marketing, digital project management, etc. You will have to understand that since these web based task management tools have fewer features, they are simple to use. As your project complexity increases, you will face the trade-off between ease of use and number of project management features. There is more to project scheduling than simple tasks/todo list management. Project scheduling involves work breakdown structure, delivery schedule, Gantt chart, task estimation, task dependency, lead time/ lag time. There is a distinct category of the PM tools that offers such comprehensive project scheduling and tracking capability. Project documents are integral part of every project. There is project charter, scope document, team information, documents related to project tasks, issues, risks and discussions, financial documents, project reports, etc. The conventional way of managing project documents has been a common/central folder and everyone accesses project documents by navigating to the folder location either on intranet computer or on cloud. Document sharing certainly helps in project collaboration, in its basic form. However common folder location turns out problematic if you have geographically dispersed project team or clients are locate elsewhere. Though some customers said they used emails to share documents, knowing that, it is one of the least collaborative option. Nowadays size of email attachment is not any deterrent factor but how many times can you send project documents, to how many people and waste everybody’s bandwidth. Document sharing is one of the essential functionality found in web based project management software, be it Basecamp, Podio, Zoho, or Asana. One get to access project documents in real time using online collaboration system. There are advance solutions to manage project documents, such as Microsoft SharePoint and there are even specialized real time document sharing solution, cloud based document collaboration platform such as Dropbox, Box, Google Drive, Zoho Doc, Docstar, Bitrix24, OneDrive, M-Files among others. Also we have seen that security professional at cloud based solutions can handle security aspects much better than individual IT team of a given organization. There is more to project collaboration than document sharing. It is about sharing project plan, real time access to project activities, email notification, initiating and participating in discussion forum, commenting on task progress, issue comments, risk comments, sharing issues and risks with project team or individual team member, scheduling project meetings, recording and sharing meeting information, notifying changes in project timeline, documents upload/change notification, alert to update timesheet, allowing clients to access project information and participate in project activities, etc. If your business is struggling to deploy right resources to right projects or if you have no idea whether you have enough capacity to take up new project: project resources planning is very important for your company. Project resources planning involve identifying resource skillset, job role, experience, knowing their availability, assigned work, actual work, estimated work across all projects. Now there are software that offers resource planning features such as Microsoft Project®(but it is debated by some), Resource Guru, Ganttic, Workotter, Deltek People Planner, Hubplanner, among others. Tracking whether things are falling in place as planned is also vital to know efficiency and effectivity of your planning as well as project resources. If you have planned 40 hours of work for couple of resources and if it is taking more than 60 hours to complete in reality, then you should take cognizance of the same and make the planning better. The direct implication of such variation (between planned resource hours and actual resource hours) is your bottom-line or margin will get hit. Hence there are tools that offers way to track resources assigned across projects (actual assignment verses actual hours spent in doing the work). It will be a mix of resource planning and tracking resource load, resource time tracking. The ability of deploying consultants on multiple projects to maximize the billability is business driver for professional services organization. The billability in such cases is based on number of hours spent on client-project activities. Hence it is important for professional services companies to track project time. Not only professional services companies but wherever it involves project delivery on time and material basis. It helps businesses knowing resource efficiency, keep project cost under control and improving project margins. Now there are plethora of time tracking software some of them are purely time tracking tool such as Toggl, Timecamp, Harvest, Tsheet, Replicon, OpenAir, Freckle, TimeDoctor, Officetime, SlimTimer, eBillity, actiTime, Timewriter, RescueTime, ClickTime, among others. On the other hand there are tools which sometimes offer integrated or extra/add-on with basic project management like Atlassian Jira, Asana, Bascamp, etc. Tracking time can be essential or optional or not-required for your business or project depending on business/project/client/team factors. Generally it helps if you track resources time spent on project by analyzing the data. If you are expected to track time, you should select right tool to track time, something that would be dead simple for project team member, tool that they can use on the go, anytime, anywhere; a tool that will remind them about pending timesheet for previous weeks. 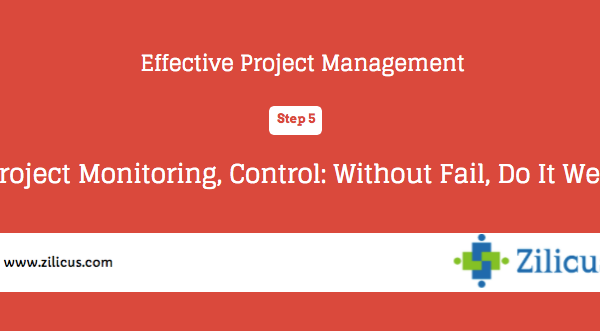 Speaking of project status, project manager generally refers to whether the project is on time. But many times, if not always it also means whether is project has any pending issues or if it is stuck anywhere. Now there are different ways how such problems are identified or named: some call it project issues, some call it project incidents, IT people call it bugs some merely name it as problem. Project issues are identified with specific number, summary, description, priority, documents/screenshot, reporter, assignee, comments and issue lifecycle (accept, resolve, reassign, reopen, verify, close). There are good number of tools available for issue tracking: some of those are installable such as Fogbugz, Redmine, Trac, MantisBT, BugZilla, BugGenie, where as others are cloud based such as Jira, YouTrack, Zoho BugTracker, Airbrake Bug Tracker, Bugify, ASITrack, Bontq, Bug-Track.com, BugAware, Bugclipper, BugHerd, BugHost, Bugrocket among others. One of the confusions project coordinators have regarding the issues are treated in tools such as Jira, they consider issue as task. Project issue is a project issue is a project issue. Whether it can become a scheduled activity or not, is a project manager’s decision based on many other factors (project cost, resource availability, timeline impact, budget approval, client approval, etc). Issues/bugs are often considered the disputed area between vendor and consumer organization. To streamline the issue reporting process, to track issue lifecycle, to bring transparency in dealing with issues, project managers require issue tracking tool. More often than not, project team end up working on issue resolution, sometime client pay for the issue resolution work. There are project management tools that allows tracking time not only against tasks but also issues and risks. 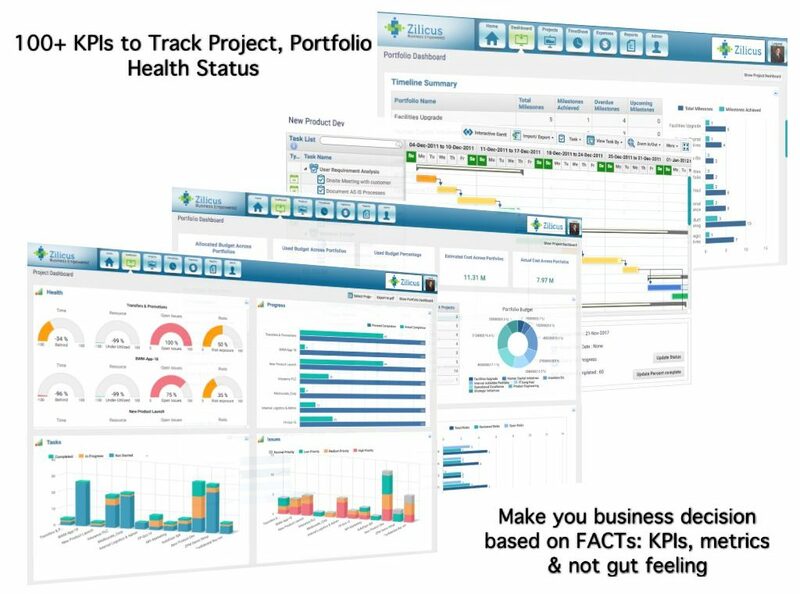 One cannot skip tracking project financials if business is to sustain. Tracking project financials like budget, estimated cost, actual cost, billing helps businesses to know whether projects are delivered by making profit or it is a loss-making-business. If you have financial numbers to track, you can improve the project financials, make them profitable. But if you do not even track financial numbers you are merely relying on gut and luck, which does sustain longer. When projects are delivered on time and material basis, it is necessary to track project cost. There are project management tools which help project manager in managing project cost. Microsoft Project can help in project cost estimation, Ecosys, Replicon, Cost Management, HardDollar, MPower, Abak 360, Deltek, Uniphi, Pronomics, Galorath, ProjStream, SIS among others. While looking at or evaluating any of above tools, one must keep in mind that as project team members work on activities, update progress, fill in timesheet, submit expenses: the software should update cost information automatically. If you had to update project cost information separately, it will lead to confusion, error and frustrating conversations. Also make it a point to understand that effective project management requires is more than just budget/cost/billing numbers. There are variance report, earned value report, dashboard representation of project financial radar chart, bar chart, etc. When I speak with customers to understand their expectations, typically they remained unhappy with whatever they were using, interestingly many of them are looking for ultimate project management software that has all above features. Their expectations are pretty much reasonable Instead of using discrete project management tools with different purpose, we would like to use one advanced and integrated tool that packages everything together. You may find such tools that provide all of above functionalities but there will cost you a bomb. These tools requires heavy customization, extensive training, and significant change management drive. But finally what is important is the adoption of the tool and in turn RoI. 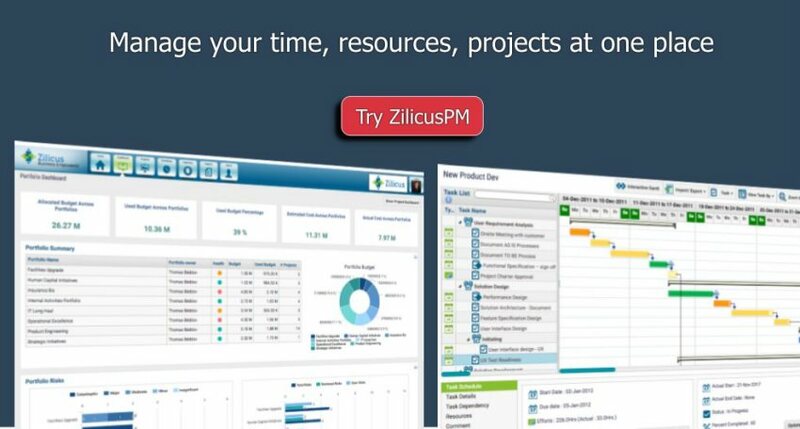 One should also keep in mind that there are no free lunches but having said that, ZilicusPM is pretty reasonably priced such that it provides enterprise grade project management capabilities in the most cost effective manner. As you will start researching for the “best project management software” for your company and when someone asks you, “what do you mean by the best project management software”, this article will help you answer the question. But let me reiterate, the tool that works for your team, has optimal functionality you need and available cost-effectively is your best tool. After all, any tool will not have some or other feature which will be present in other tool. Your choice of project management software should be of a tool that will centralize your project management processes, project management artifacts, something that is easier to use for everyone, keeps then engaged in multiple channels like web, mobile, email and deliver faster performance. Great post. Thank You ! Once the application was applied to our business procedures, we realized that productivity levels among our group of employees were all over the place and that our project managers were deficient in billing the appropriate hours per client project. Within the first month, after the system implementation, we were able to recover more than 10% in billable hours. Some of the team members thought we were spying on them. Some faulted other team members, and others just didn’t want to listen and decided to leave the company. But at the end the day, the message was understood by the remaining team members and, today, the team is profitable again. Our project managers no longer need to spend as much time monitoring the team, and everybody gained personal autonomy. After twelve months of use, our profitability was up more than 60% compared to previous years. The transparency offered to give the teams a more serene working atmosphere while maintaining a high level of performance. Project management software can simply the work management and increase the efficiency through proper organization of task.